Yoga. Almost every recovery blog, sober website, or poster on dry threads seems to have got into yoga. I am no exception. I’m a 51 year old, stiff woman with a BMI of just over 25 and I’m contorting myself 4 times a week into the most extraordinary poses, and I LOVE it. Really, I LOVE it, I can’t get enough yoga; I snuck out of work for a 10.30 yoga class this morning (admin day) and claimed the time as my lunch break ( I never, ever get a lunch break – that’s a different story) … I’m planning and plotting to try and get to 5 classes a week, as I feel too clumsy and uncoordinated to practice very much at home at the moment. Yes, I’m a new convert. I had literally never considered yoga before I got sober this time, I don’t even think I’d given it much thought to be honest, and if in passing I’d wondered about ‘yoga’, I think I imagined a bunch of earnest, vegan, tree hugging people squatting on the ground and meditating. I certainly couldn’t have imagined that I would fit in…, or that the practice of yoga would become a crucially important cornerstone to my life. Apart from the spiritual goals, the physical postures of yoga are used nowadays to alleviate health problems, reduce stress and make the spine supple, and the joints and muscles strong and flexible. Central to the postures is breathing. For most poses the breath is slow and steady, breathed in and out of the nose and down into the belly. This focus on breathing helps induce a kind of meditative state. So what do I, personally get out of it ? When I quit drinking I started to attend several different type of classes at the gym, but yoga has been the one that stuck. Why ? Its FEELS good – stretching and expanding muscle groups just feels good. Its feels especially good when someone else adds just a little pressure and takes it one stage further! it is relaxing. It takes practice, but that breathing and mindfulness type exercise does calm the mind and provide some kind of sustenance. And the lessons I have taken from Yoga so far ? A healthy body needs a balance of flexibility and strength. This same respect for our limits, patience and trust is important in day to day life. If my workload is overwhelming and I’m feeling stressed, I SHOULD respect my own limits by saying no to more tasks!. When I feel anxious or stressed about drinking, its ok to turn down social invitations..
3. I / You CAN do it .. Fear, in all aspects of our lives, holds us back. It keeps us from applying for that job we want, stepping in to the unknown, or falling in love. Its a good feeling to get past the fear…”Feel the fear – and do it anyway.” isn’t that the title of a book ? It is only by acknowledging, accepting, and moving past fear that we can fulfill our potential.And now I CAN do a Warrior balance ! This entry was posted in alcohol and tagged recovery, yoga. Bookmark the permalink. ← Am I an alcoholic? bravo lily! Guess what? me too, well, pilates. I have found I’m addicted to that now. You have just convinced me to do Yoga! I’m 56! Do. It is life changing! Lily when I said that I liked yoga at the retreat the guy called me a junkie! Apparently the endorphins are addictive, haha seriously! Is that true? Well if you find yourself obsessing about yoga, stretching throughout the day and not being able to moderate I will have a look for a Yoga Anonymous group for you. Haha. I should try it again ! I love Yoga & it’s definitely the recovery way to go. A Word of warning though – careful when trying to copy your friend in a class! I put my back out trying to catch hold of my foot in a balancing pose. I still can’t bend down properly after 3 weeks! Am going on a yoga retreat in Toulouse in a few weeks time – so I’m hoping to be fit by then!! I am 62 with a bad back, and I love yoga! I love the breathing techniques, and use breathing to calm myself down, and get to sleep. I STILL can’t do the crow pose, however, and I’ve been going for 8 years! I can do crow, but I don’t think I will ever do a headstand. I get so anxious! But who cares., Childs pose is just as good a pose. Love this post! Our stories are so similar! I am still practising at home. Too ashamed to go out in public just yet. Yoga has changed my entire life. It’s so uplifting to see yoga brightening the lives of others! I’ve been trying to hop off the couch and onto the mat all morning – thanks for inspiring me to get to it! I thought I was too old and fat to do yoga but my friend talked me into it. I like it! I love Yoga. I like to Yoga at home, but I am struggling to find any good yoga workout videos. I hope I can find some soon. I think yoga helps so much with any kind of stress. I absolutely love yoga. One of my favorite things about it is it is all at your own pace. Another thing I love is how flexible I have become since starting yoga. Thank you for your post- truly inspiring! but reality is everybody got some time it is matter of priority. It is so inspirational to see you taking back the power to be your true self. Great post! Thanks for sharing your yoga story – very inspiring! Working in the field of recovery, I’ve found that yoga provides many unsuspecting individuals with a solid introduction to holistic approaches, which they may have otherwise avoided, through the transformative experience such practices imbue. 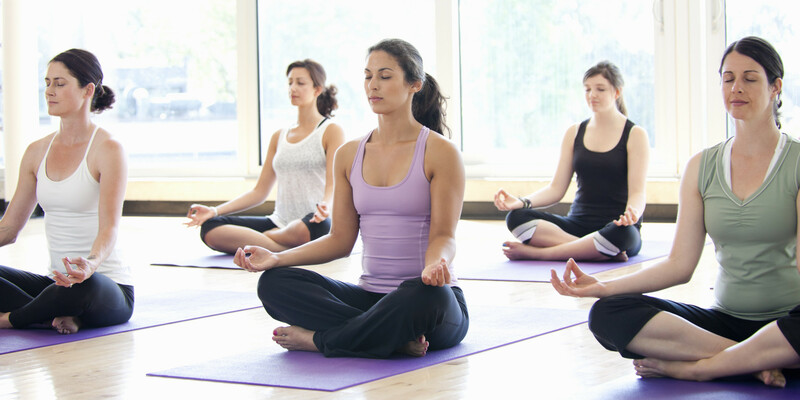 Adding yoga to one’s workout regimen can work wonders. Combining spiritual/meditative practices with physical movement works wonders. Whether you’re in recovery or not. Great post! I love Lily!! She is trying… I recently tried Yoga with Linda and it was fun. I know I will like it when I get more classes under my belt. The progress is an awesome feeling! I’m s glad you found something you enjoy. When I started Post Graduation in Yogic Science….. The second question asked was who can do yoga?….. and you are the live example of that question…… Hurray…..Go girl! You just busted the myths……… One more thing about the roots of yoga…. Yoga was even before the Hindu traditions developed…. it was even before the vedas (religious scriptures of Hindus) developed……So I would like to call yoga as a spiritual practice than a religious practice.. Just a thought. Wonderfully inspiring… keep digging deeper! So important to show people you’re never too old, stiff or unfit to start yoga. Inspiring!